Hengshan Road (Chinese: 衡山路, pinyin and English: Hengshan Road), which was under the license period called Avenue Pétain, is the most central street in the former French Concession in Shanghai. Hengshan avenue is 2.3 km long and runs as an extension of Caoxi Lu from Xujiahui, follow Xujiahui Park until the intersection of Jianguo Lu and Wanping Lu and then goes diagonally southwest-northeast through the street network in the former French Concession until it goes over in Changshu Lu just before this crossing Huaihai Road. Like most of the streets in the French Concession, the avenues are filled with plane trees (Platanus orientalis). On both sides of Hengshan avenue’s lavish villas with huge and inside walled gardens, most built in the license period in the 1920s and 1930s, many of them are today protected. In the northern end of Hengshan avenue and side streets are many better international restaurants. Some bars and nightclubs are located in Hengshan road, which you will see if you visit the street after sundown. A lot of foreign expats want to live in this area because of the good nightlife and convenient facilities that surround the French Concession. Hengshan Road is the perfect place to find an apartment in Shanghai, and you can contact us if you need some accomodation while living in Shanghai. 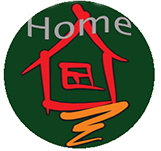 HomeofShanghai Housing covers 97 % of the Shanghainese real estate market and will be able to provide you with professional English speaking help at any time.